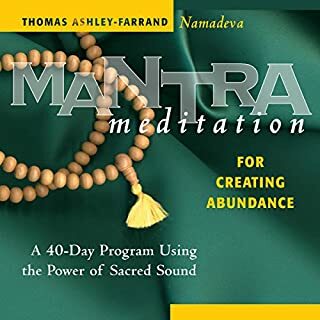 Would you listen to Mantra Meditation for Creating Abundance again? Why? Yes I would but navigating the sections in audible is frustrating. How Farrand structured the audio. The examples on occasion were rushed unnecessarily. Remember some are new to Mantra and speeding through is not helpful and when you say 108 it should be 108 reps recorded. What was one of the most memorable moments of Mantra Meditation for Creating Abundance? When the author speeds through 108 reps, like adding a couple minutes to the section would hurt. See above suggestions. Better presentation sequence and the last ritual should have had explanations before and then a complete recitation without comment. And on the final 108 Lakshmi mantra it didn't go the whole 108. Don't get me wrong this audio is worth listening to, but I did find the above frustrating. 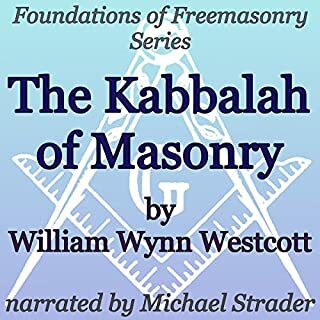 Renowned Masonic scholar and author W. W. Westcott discusses the formula of masonic rituals and why secrets are an important part of that. He discusses the inclusion of the concept of legends in our rituals and why it is important to separate those legends from historical events. He discusses where some of our symbols came from and what part the Jewish Kabbalah played in the formation of freemasonry. He discussed the Tree of Life and the Hebrew letters as they relate to masonry. Would you listen to The Kabbalah of Masonry again? Why? Why is stilted defined as self-conscious? This narrator seems not to know he's terrible. Why is he employed as a narrator? Does he do it gratis? It's almost painful. It can't be mentioned enough, this narrator is terrible. Why? ... makes me long for an automated narrator. 30 Minutes in, don't know if I'll make it. Would you try another book from Whitley Strieber and Jeffrey J. Kripal and/or Stephen Bel Davies? Probably not at this point. 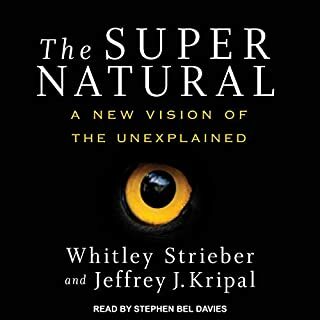 Would you be willing to try another book from Whitley Strieber and Jeffrey J. Kripal ? Why or why not? Probably not. It sounds like a dry droning rehash of theories you can get from any number of books. Don't particularly like the narrator. Meh. At a loss for words right now. It is late and maybe I should have waited, but expectations were high (don't know why.) This likely shouldn't sway your decision to buy the book for yourself. But I wouldn't be surprised if others join me in some respects...Especially the narrator.